Foundation for the Preservation of Wildlife and Cultural assets (FPWC) with the support of the US Embassy in Armenia is launching the Civil Society development in Yeghegis Cluster project. The project aims to promote sustainable lifestyle in Yeghegis cluster by the means of civil society development. By fostering civic engagement and youth leadership in rural communities the project addresses the integrated goals of the cluster: participatory governance, ecological integrity, prevention of migration, communal life activation. The project focuses on the engagement of youth and women improving the environment of gender equality and justice in the cluster. The courses will be organized in 2 large communities to ensure the involvement of all the interested residents in the project. The trainers will be selected based on their relevant professional background, skills, activities and experience. Availability to travel to Yeghegis cluster for the training. Please, note, that priority will be given to those that most closely meet above mentioned criteria. To apply, please send your CV to sona.kalantaryan@fpwc.org email, mentioning the job title (Trainer) you are applying for. Please, be sure you can meet the training timetable requirement before applying. Application deadline: 31 August, 2018. Please, note, that only shot-listed candidates will be contacted. Program information: Place-based Service Learning program will support projects that engage youth in improving the environmental, ecological or other related issues and situations while actively learning. The project aims to advance the development of environmentally and civically aware and engaged young generation and empower them to take action in their communities by introducing the concept of place-based service learning, while exposing the potential of local youth voice, cultivating an attitude of ownership and civic responsibility. About Place-Based Service Learning: Place-based education is the process of using the local community and environment as a starting point to teach concepts in language of arts, mathematics, social studies, science, and other subjects across the curriculum. Emphasizing hands-on, real-world experiences, this approach to education increases academic achievement, helps students develop stronger ties to their community, enhances students’ appreciation for the natural world, and creates a heightened commitment to serving as active, contributing citizens. Place-based education doesn’t just involve learning about a local community, but allows students to get out of the classroom and actively participate in what is happening in their surrounding: culturally, politically, and environmentally. Unlike education today where students begin their knowledge on the macro level out of a text, students start learning at the micro-level, within their own communities, and continue moving outward and upward as they grow older, consistently adding to what they know and making even larger connections between societies and the world. * Any other theme will be acceptable, if it concerns environmental, ecological issues in your community. Proposals will be accepted from 5 community clusters: Lusashogh community and Urtsadzor community cluster in Ararat region, Yeghegis, Zaritap and Areni community clusters in Vayots Dzor region, Chambarak community cluster in Gegharquniq region and Garni community in Kotayq region. To be eligible for funding, the projects must be presented by groups of children or youth that have leaders 18 years old or more, and that apply with projects suggesting environmentally-friendly context, precise timelines and a justified budget. Proposals to financially support projects will be accepted ranging from $200 to $1000. Grantees should inform and invite program organizer to their main events. In case of questions you can contact us by following email: sona.kalantaryan@fpwc.org. For inquiries you can contact us by the following email: sona.kalantaryan@fpwc.org Please, note, that only shot-listed candidates will be contacted. 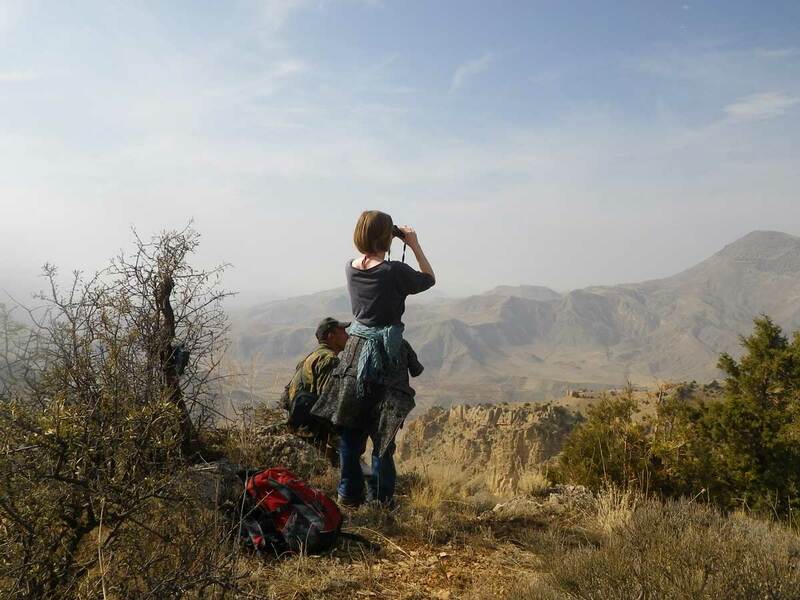 Foundation for the Preservation of Wildlife and Cultural Assets (FPWC) announces a call for scientific research in the first privately managed reserve in the South Caucasus- the Caucasus Wildlife Refuge (CWR). The FPWC encourages qualified individuals and legal entities for applying to Scientific Survey Initiative aimed at monitoring the biodiversity & ecosystems of the reserve area. The main objective of this announcement is to survey and monitor the flora & fauna of the Caucasus Wildlife Refuge in partnership with local & international research organizations, universities, scientific institutions, individuals (MSc & Ph.D. students, scholars, post-docs, etc.) and other interested parties. -You have a previous coursework/experience in ecology, biology, environmental studies/science or any relevant field. Publications are an asset. -You have your Scientific Advisor/Supervisor’s support to submit a program specific application. -You communicate in English without difficulties. Knowledge of Armenian will be viewed as an advantage. -You have deep respect towards Nature, people from different backgrounds and cultures. Applications and inquiries should be submitted to info@fpwc.org mentioning your full name and affiliated university in the subject line of your email. The body text should include the title of the work, expected duration, outcome, expected number of publications and desired scopes of possible partnership with the FPWC. Your applications will be reviewed and feedback provided within 7 working days from the submission. For detailed information, please download the attached file.